H&M manufactures and estimated 600 million garments per year, with over 25% coming from Bangladesh, the reason why the clothes are so cheap. An unskilled worker earning just £1.76 per day and a skilled worker earning a little more at £2.38 per day- by keeping manufacturing costs down, clothes can be sold for cheaper whilst still maintaining massive profit margins. H&M uses the idea of built in obsolesce to ensure customers keep coming back week-after-week, spending their hard earned cash. Items are designed to be highly fashionable and made from cheap materials, only to be worn a few times before the trends move on or the item falls apart. Don’t forget, H&M is the 2nd largest clothing manufacturer in the world, making over $25 billion in yearly revenue. Is this a genuine effort to change their practices or simply another case of ‘Green washing’ in order to attract new customer and keep existing customers shopping? H&M’s sustainability report 2015 states that they aim to only use cotton from sustainable sources, only man-made cellulose fibres (to prevent deforestation) and increase the range of sustainable materials. I was happy (as a vegetarian) to see animal welfare being considered, with a commitment to only source down and wool from certified sources. A big part of the campaign is that garment recycling is now offered instore, swapping store vouchers for old clothing. Although all this does encourage consumers to clear out their wardrobes and consider what they really wear and need, in addition to creating interest in textiles recycling and sustainability, the issue lies with the illusion that the majority of clothes donated will be recycled and repurposed within H&M. The reality is that only 1% of all clothes donated worldwide can be successfully recycled in to usable fibres for garment construction- although H&M claimed 20% off their collected clothes are successfully recycled. But what happens to the other 80% of donated clothing? H&M insist that they don’t profit from the donated clothes, but they have never stated where the remaining clothes end up. Landfill? Donated to charity? Sold for profit? I was pleased to see the current collection available online contains about 30% staple items, such as white shirts, black blazers + skinny jeans, which won’t go out of fashion as quickly thus prolonging their life. I also found that the garment quality I experienced in store is still the same as other H&M items so I’m not sure they’d last much longer than their conventionally made garments. 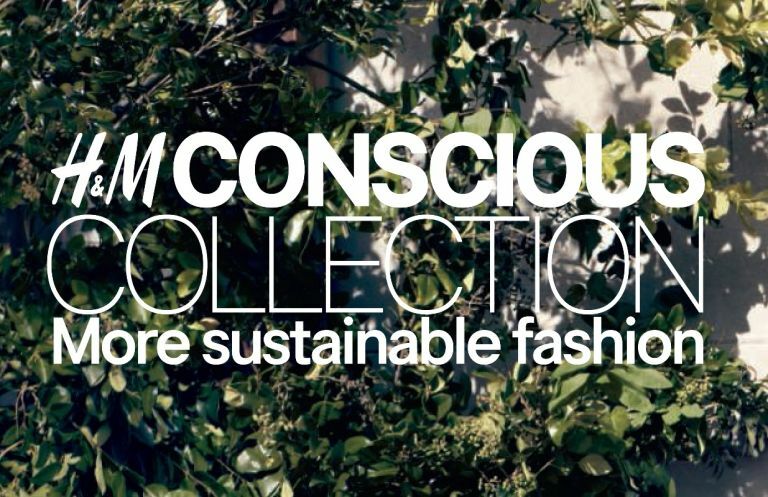 So… should we buy from the H&M Conscious collection? Personally, yes. In fact I have purchased a white shirt with 30% recycled polyester fibres from the collection. In my opinion, 30% is better than 0%. I wouldn’t let it encourage me to buy more items than I need, and I certainly won’t be using their recycling service. They do appear to be using the consumer trend towards more ethical and sustainable clothing to profit, and I do believe this to be a classic case of ‘Green washing’. But, I still shop at ‘fast fashion’ stores and if I had the money to shop exclusively at sustainable brands, I wouldn’t step foot inside a H&M. I choose to support projects which make steps towards better textiles practices, and I would certainly purchase them over their conventional range.